Nissan will put one of its cars through the best and worst UK roads have to offer. As the UK attempts to position itself at the forefront of autonomous driving, the government -- with help from startups and universities -- has embarked on a number of trials in order to rack up the necessary miles on the road. This normally involves putting a self-driving through the small patches of the best and worst British highways have to have offer, providing car makers with the data they need to manufacture a safe autonomous vehicle and pave the way for updated laws and regulations in order to govern them. The new HumanDrive initiative, announced today, is another of those driverless trials, but this one wants to be a little more thorough than those that have come before it. A self-driving car will embark on the "most complex autonomously controlled journey" ever attempted in the UK, taking in country roads, A-roads, motorways, high-speed roundabouts and various driving scenarios that are mostly unique to British roads. Overall, the vehicle will travel over 200 miles performing its duties. The project is being led by Nissan's European Technical Centre, with help from a wide variety of companies and organisations, including Hitachi, Transport Systems Catapult (which led the first UK driverless trial in 2016), Cranfield University, University of Leeds, HORIBA MIRA, Atkins, Aimsun Ltd, SBD Automotive and Highways England. 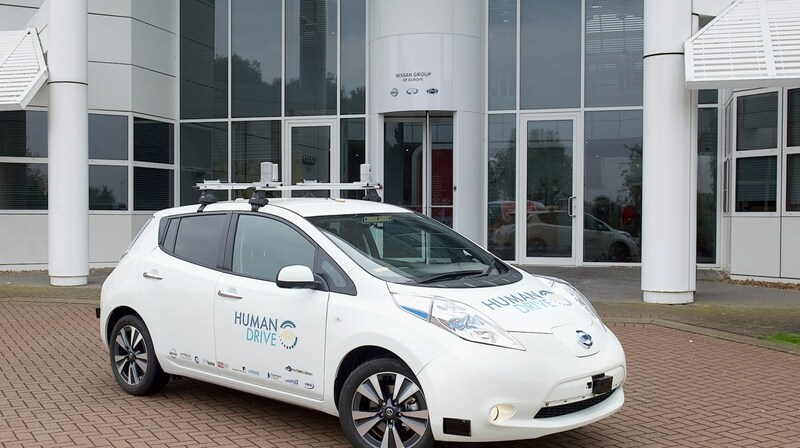 Various companies -- including Nissan -- are already testing autonomous vehicles in the UK, but HumanDrive wants its car to drive more like a human, providing a "an enhanced experience" for the people inside the car. By law, self-driving vehicles require a human rider in the driving seat, just in case something was to go wrong. "The artificial driver model (controlling perception and decision making) will pilot the vehicle, and will be developed using the latest artificial intelligence technologies," said Catapult Transport Systems in a statement. "Before being introduced to UK roads, the system will be developed and subjected to robust testing using a range of facilities, including simulation, hardware in the loop, private test track and small sections of public roads."